Ireland’s holy mountain, is rich in history stretching back to pre-Christianity times. 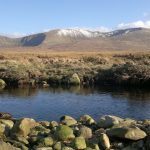 It is most famous for its connections with St. Patrick, Ireland’s patron saint, who is said to have conducted a forty-day fast at its summit in 441AD. Croagh Patrick or ‘The Reek’ is Ireland’s holiest mountain and has been a pilgrimage destination since pre-Christian times. A place of ancient history, with a rich vein of archaeological heritage, Croagh Patrick is situated 20 miles from Mulranny. The mountain’s conical shape soars majestically above the surrounding countryside and Clew Bay. The traditional ‘Reek Sunday’ is the last Sunday in July but pilgrims (and many others) make the climb all year round – sometimes barefoot. 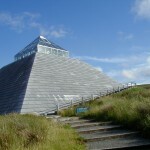 The Croagh Patrick visitor centre is situated in Murrisk on the pilgrim’s path at the base of Croagh Patrick mountain and opposite the National Famine Monument.